Would you like to surprise that special someone with a romantic getaway to Barcelona? If so, we are happy to congratulate you on your choice. Although the Catalan capital is not Venice, Prague or Bruges, it proudly feature countless magical corners that will leave your better half speechless (and also, we have a milder climate than any of the destinations mentioned above). Don’t think twice: book one of our rental apartments on the beach and get ready to discover these 10 romantic places in Barcelona for couples. Are you ready to fall in love again? 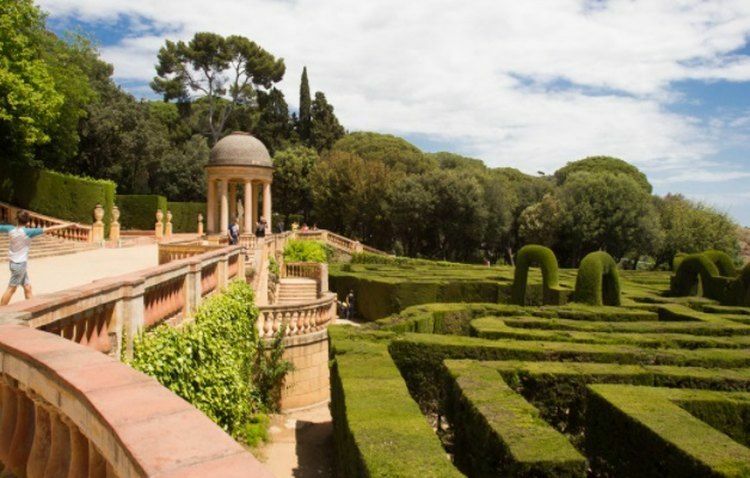 If you want to see the oldest gardens in Barcelona, you will find them in this beautiful green area. Located in the Horta-Guinardó neighbourhood, the place is located on the premises that once belonged to the Marquis of Llupià, Poal and Alfarràs; who had commissioned the Italian architect Domenico Bagutti to arrange this place. After the works were completed in 1808, the garden was attributed with great beauty thanks to its neoclassical and romantic elements. Converted into a public park in 1971, this enclave finds its main attraction in a labyrinth with beautiful sculptures and cypress walls. If you feel like playing hide-and-seek with your partner, this activity will so much fun! If you need more information for your romantic date, you should know that this has been one of the locations of movies filmed in Barcelona, such as The Perfume or Nocturno 29. Without a doubt, this is one of the most beautiful and unique squares in Barcelona. Located in the heart of the Gothic quarter – more specifically, in the Jewish quarter or Call – it takes its name from the Baroque church that presides over it, the walls of the latter still carrying the wounds of the Civil War. Surrounded by Renaissance houses, it also hosts the Footwear Museum and a beautiful octagonal fountain. To be honest, this urban space is not that ancient (as some may think), as it had to be reconstructed after the war. In any case – this is a surprising oasis of peace amidst all the urban hustle and bustle. Don’t miss it! This beautiful park is another must-see for love birds; it was built in 1881 on the place where a military fortress used to stand. There you can take a romantic boat ride across the lake, take a photo next to the stunning sculpture of a mammoth, or have a picnic on the grass…. However, its most emblematic point is the Umbracle, a century-old building where you can see plants from about twenty countries on four continents. Inside, you will find benches where you can sit down and take a rest… or make one of those proposals that change our lives (logically, for better). Would you like to have a romantic dinner outdoors and in the company of the stars above? This idea may sound too poetic, but the truth is that one of the most romantic places in Barcelona takes itself literally. 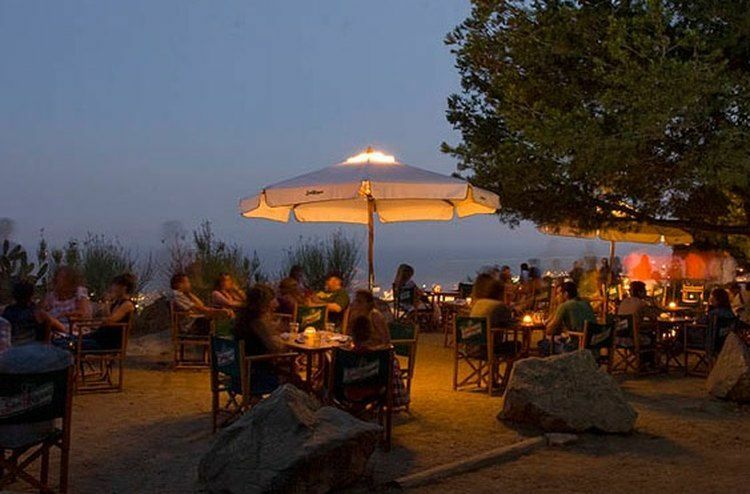 Thanks to the Cenas con Estrellas (dinner with stars), an initiative promoted by the Fabra Observatory every summer, your partner and you will both enjoy pleasant talks about astronomy, accompanied by the best Mediterranean cuisine. 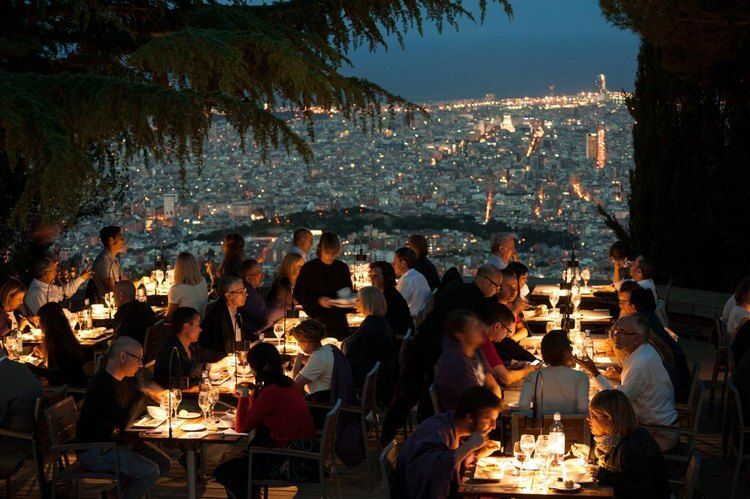 If you want to live a unique experience with the best night views over Barcelona, hurry up and book your table. You’ll want to repeat! Who hasn’t heard of this modernist jewel, the fruit of the genius and Antoni Gaudí’s inspiration? Althoughthis modernist enclosure in the La Salut neighbourhood of Gràcia was initially intended to house a garden-city, the project was halted when only two houses had been built. 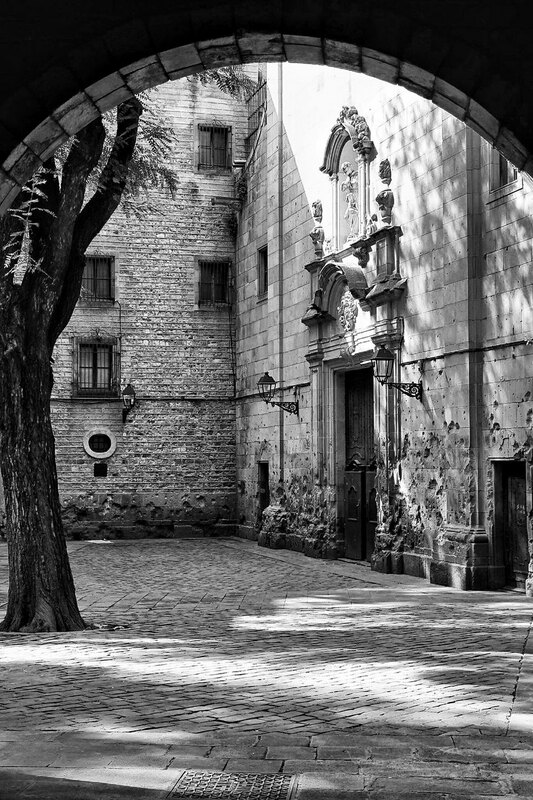 Nevertheless, this did not prevent this space from becoming one of the most visited monuments in Barcelona. Peppered with fountains, pergolas and water fountains, this architectural masterpiece boasts fascinating places, such as its hypostyle hall, its famous ceramic salamander, the Garden Booth (which can be accessed if you buy a ticket) or the original column with the silhouette of a washerwoman. It was declared a World Heritage Site by UNESCO in 1984. Do you want to explore its nooks and crannies together? 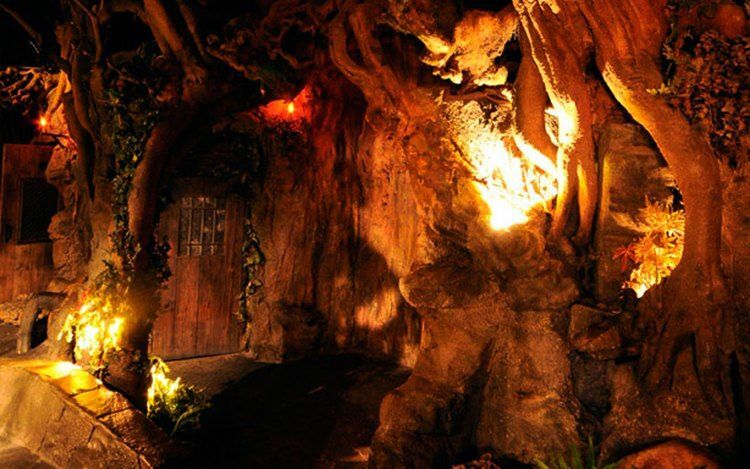 In number 7, passatge de la Banca, very close to the monument to Columbus, there is an impressive cafeteria owned by the Wax Museum: El Bosc de las Fades (The Fairies’ Woods). Behind the thick velvet curtain at the entrance, you’ll find a magical universe full of fantasy. It is not just a figure of speech: in fact, it is a meticulous recreation of a forest with trees, gnomes and other mythological creatures. What is more, sometimes it gets stormy here as a results of the special sound and light effects. Can you think of a more romantic place in Barcelona to have a drink with your soul mate? Montjuïc Mountain hosts another site that combines gastronomy and a panoramic view over Barcelona. This is la Caseta del Migdia (Migdia Booth), a bar inside an old tower that belonged to Telefónica. 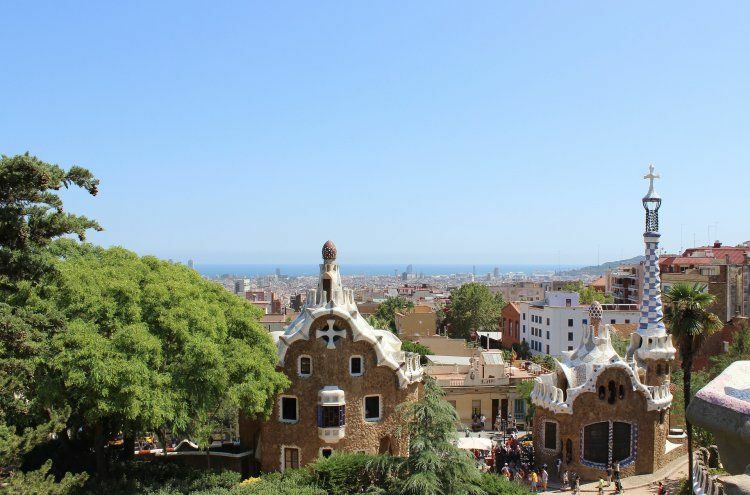 Although this is not the ideal place for foodies – the menus are nitty-gritty – the possibility of enjoying a picnic hovering over Barcelona is well worth a try, isn’t it? 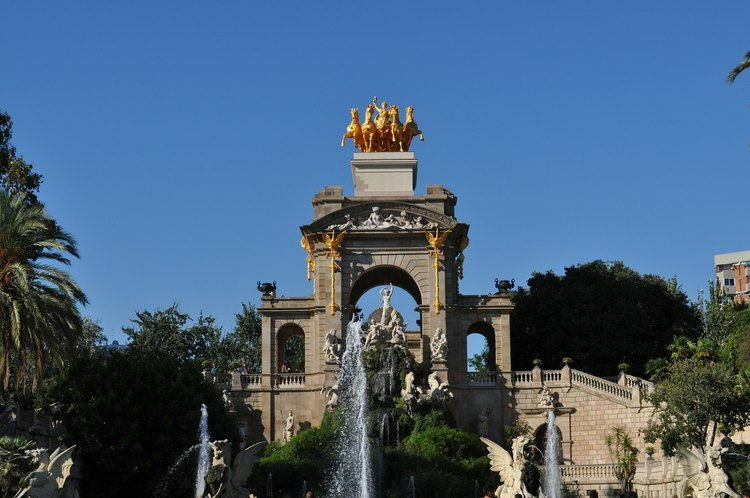 Not far from there, right where the Eixample and the Carles Buïgas square meet, one of those perfect spots to discover together unfolds: the Font Màgica de Montjuïc (Magic Fountain of Montjuïc). 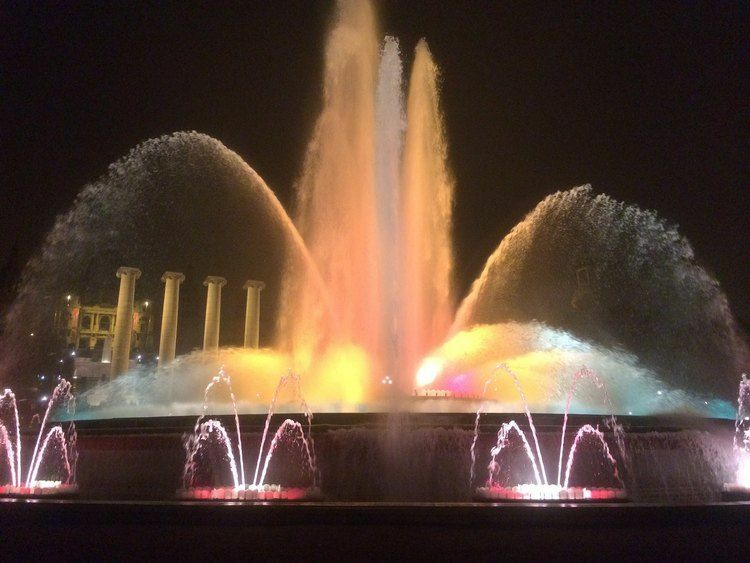 Inaugurated in 1929 for the International Exhibition of Barcelona, this fountain impresses with its jaw-dropping light and sound show with up to 50 combinations of both elements. A fine musical selection accompanies the capricious movement of water, which results in an epic performance of great beauty which couples of all ages will enjoy. By the way: not far from there, you can find the restaurants of the Arenes shopping centre, from where you can contemplate the enigmatic city views. 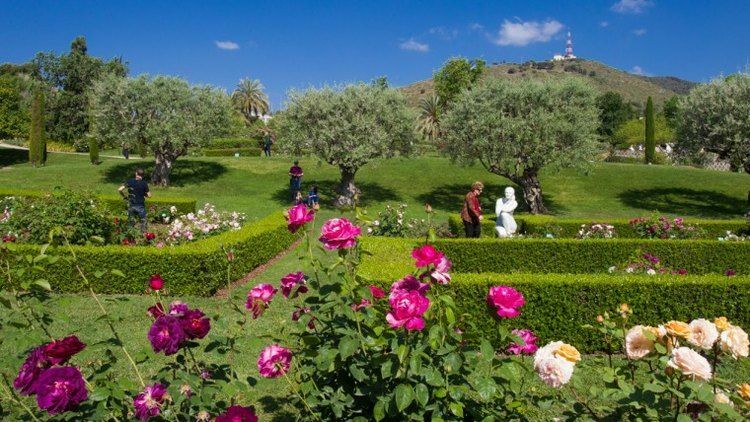 The upper part of Barcelona is home to these beautiful gardens. One of the sercret places to go in Barcelona, this is a perfect spot to take a walk hand by hand under white locusts, planetrees and jacarandas. They originated as private premises that belonged to the Craywinckel family, and later were acquired by the cotton industry tycoon Alfredo Mata in the early twentieth century. The new owner ordered the construction of a summer house and commissioned the landscaping project to the architect Nicolau M. Rubió i Tudurí, who preserved the original layout. 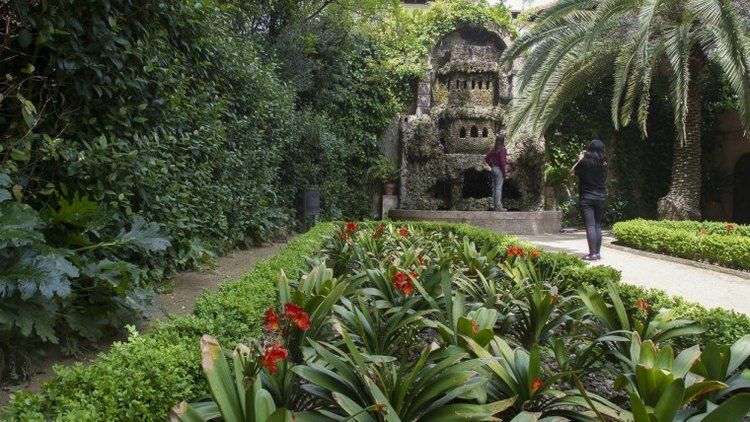 You will find in these gardens on the peaceful paseo de Sant Gervasi, 47. Would you like to walk among hundreds of roses? If this idea tickles your fancy, we invite you to discover the Cervantes Park located in the Pedralbes neighbourhood. In addition to beautiful pergolas to have a rest and sunny spaces, you will find a rose garden with about 10,000 roses of various species. A sensory experience you can’t miss. And if your trip to Barcelona takes place in summer, you will be able to attend open-air concerts there. Will you come the first fortnight of May? If so, then you will enjoy the International New Roses Competition, which was held in this location for the first time in 2001. To all these recommendations we should add some places in Barceloneta, Raval or Born neighbourhoods. However, we prefer to keep these and other surprises for our upcoming posts. 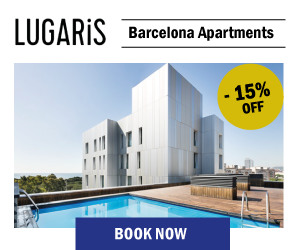 Therefore, if you want to try these unique experiences, there is nothing better than renting your apartment in Barcelona with a terrace with Lugaris. In this way, we assure you that your rest will be as exclusive, as the most special romantic places in Barcelona. Would you add any suggestions to our list of romantic places in Barcelona? In that case, do not hesitate to send us your comments. We are looking forward to hearing from you! Pretty and cute. These are romantic places in Barcelona that don’t feature on many guides and other pages that I have visited, so thank you very much for all the new information, it will definitely be of use. Bring your partner to La Luna Restaurant , a small cozy restaurant in the El Born Quarter, one of the most romantic neighborhoods in Barcelona. They do offer tasty food and cocktails at very reasonable prices. right. This post actually made my day. You cann’t imagine just how much time I had spent for this information! Thanks!